Dwight Pruett has been here before. The Arkansas-based owner won the 2016 Smarty Jones Stakes with Discreetness, but that horse has not won in 11 attempts since. 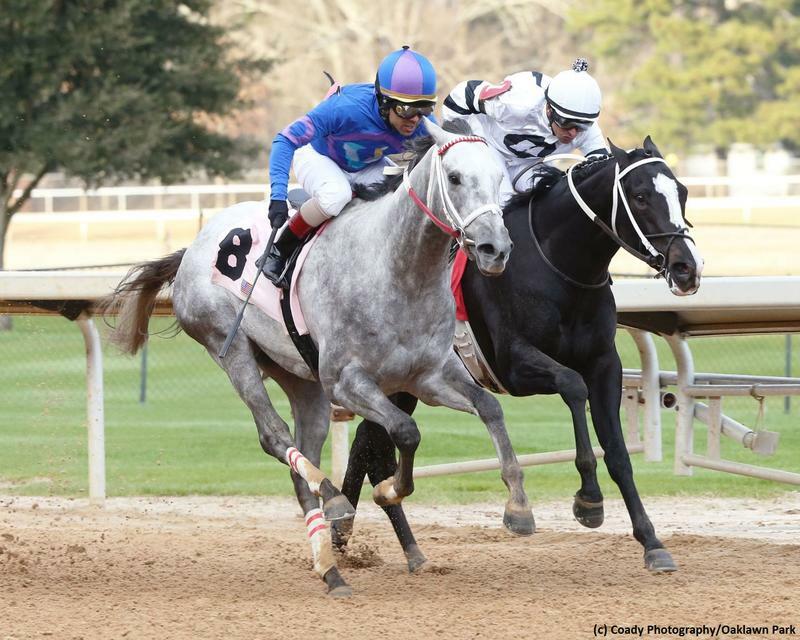 Pruett is optimistic things will be different for Gray Attempt, who won the 2019 Smarty Jones Stakes on January 25 at Oaklawn Park. Pruett’s comment references Gray Attempt’s style. The Graydar colt has won three of his four career races, and all three of those wins have come in gate-to-wire fashion. It is clear Gray Attempt has speed, but does he have the stamina to continue on the Kentucky Derby (G1) trail toward the 1 1/4-mile classic? Pruett and trainer William “Jinks” Fires thinks so, and they will give their colt another test to that end in the Southwest Stakes (G3) going 1 1/16 miles at Oaklawn on at February 18. Breaking from the outside post 8 in a field that included four stakes winners, Gray Attempt blitzed through fractions of :23.12, :46.86 and 1:11.01 under jockey Shaun Bridmohan before coming home in :25.93 for a mile time of 1:36.94. The Smarty Jones is Gray Attempt’s second career stakes win but first in a Kentucky Derby points race. The 10 points he earned for Friday’s win sees the colt ranked 11th among 45 horses with points. Springboard Mile winner Long Range Toddy picked up four points for finishing a neck behind Gray Attempt and ranks fourth overall with 14 points. This puts two of the Smarty Jones’ field in the top 11 of the Kentucky Derby Leaderboard. In addition to Long Range Toddy, Asmussen also saddled third-place finisher Boldor and beaten favorite Bankit. Jockey Ricardo Santana Jr. told the Hall of Fame conditioner that Bankit had “nothing” when called upon for more run. Gray Attempt was bred in Kentucky by Wynnstay LLC, Donna Moore and Jim Richardson, and sold for $50,000 at the Fasig-Tipton Kentucky July yearling sale. He has won three of four starts and has earned $184,700.